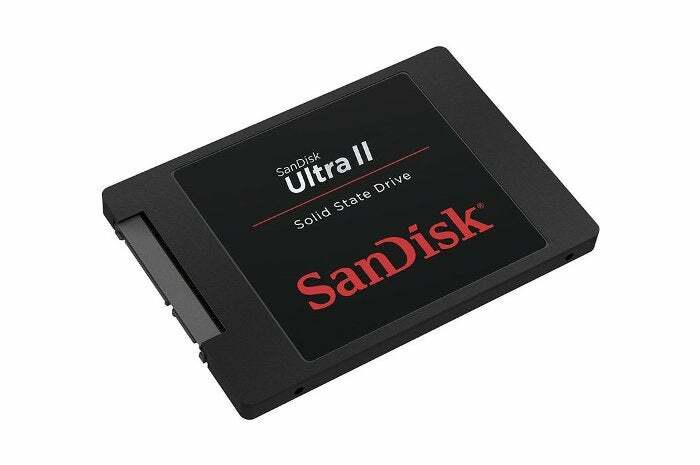 B&H Photo Video is offering the 1TB SanDisk Ultra II SSD for $200 with the coupon code INTERNALSSD. You may have noticed that there have been lots of SSD deals to be had recently, but if you haven’t pulled the trigger on a purchase yet, we’ve got another great one for you. Today, B&H Photo Video has a 1TB SanDisk Ultra II SSD for $200 with the promo code INTERNALSSD. The Ultra II SSD is similar to the SanDisk Ultra 3D, the runner-up pick in our best SSDs of 2018, with slightly lower performance. The Ultra II is a little bit slower with sequential write speeds of up to 525 megabytes per second, compared to 530MB/s with the Ultra 3D. That’s not such a big difference, but the gap between read speeds are more noticeable. The Ultra II maxes out at 545MB/s, while the Ultra 3D hits up to 560MB/s. Still, the Ultra II is so much faster than a traditional hard drive that it’d be hard to pass up such an excellent price for a component that will jack up the responsiveness of your PC. The Ultra II is a 2.5-inch SATA III drive making it a great choice for laptops, and it also works in desktops with the right bay or adapter. SanDisk loaded the Ultra II with nCache 2.0 technology, which is supposed to optimize performance thanks to a high-speed buffer. It also has SSD Dashboard software to show how your drive is performing in real time.